The Via Francigena route is an ancient pilgrimage trail from Canterbury to Rome. It has been a pilgrimage route since medieval times and has enjoyed a recent revival since the Via Francigena was designated a European Cultural Route by the Council of Europe in 1994. The Via Francigena is a classic pilgrim's trail where you will receive a pilgrims passport and have it stamped along the route. While it is an ancient route, as yet it has nowhere near the popularity of the Camino Frances, despite it being every bit as beautiful. 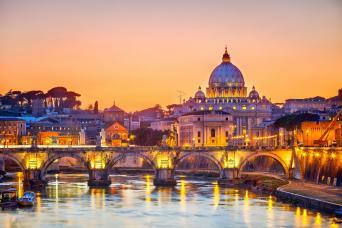 Whether you want to walk the final stage into Rome, a beautiful section in Tuscany or the whole route from Bourg St Pierre to Rome, we have you covered. Walking through rural Italy, meeting the people and tasting the local cuisine could not be a more immersive and enchanting way to explore the country. 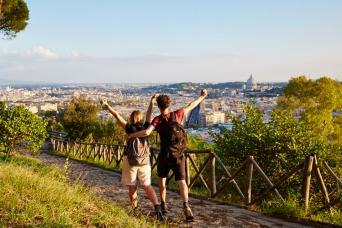 Walk the most popular final stage of the Via Francigena from the hill top town of Montefiascone to Rome, the eternal city. 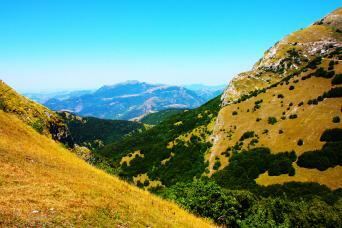 Your journey will be filled with beauty as you walk through Lazio and into Rome. Explore the central belt of iconic Tuscan landscapes and a distinctive trio of medieval towns; Siena, San Gimignano and Monteriggioni. This stage of the Via Francigena takes you from the charming village of San Miniato to San Quirico, situated on the northern edge of the Valley d’Orcia. This stage of the Via Francigena is full of contrasts, from the snow-capped Alps, to the cultivated hills around Vercelli, and beyond to the vast wide plains of the Po River Valley. Walking through three different regions of Italy; Valle d’Aosta, Piedmont and Lombardy, you visit medieval towns, see ancient towers and churches and shimmering Lake Viverone. Following in the footsteps of pilgrims from the Middle Ages, this section of the Via Francigena begins in the heart of the Tuscan countryside and finishes in the medieval town of Montefiascone. 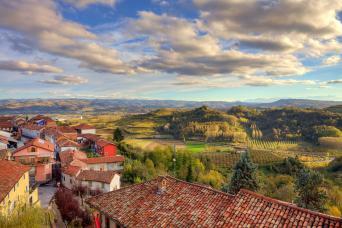 Encounter small hamlets and villages atop conical hills and set within the distinctive undulating Italian countryside. 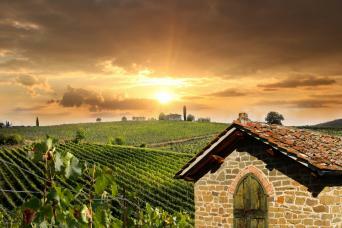 Cross the fertile river plains of Lombardy and the vineyard-covered foothills of the Apennine Mountains within Emilia Romagna. 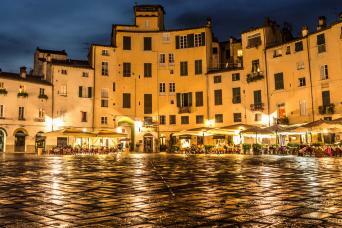 Discover the exquisite towns of Pavia and Piacenza, both incredibly rich in cultural and artistic treasures. This journey along the Via Francigena takes you through the Apennine Mountains, known as the “backbone of Italy” and from the region of Emilia Romagna into northern Tuscany. Originating in Fidenza, known for its duomo of pink stone, you cross the Cisa Pass and finish in Aulla, an important pilgrimage stop at the confluence of the Aulella and Magra Rivers. 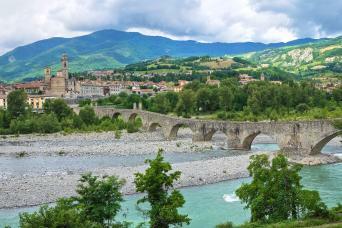 Originating in the historical region of Lunigiana, an area of great gastronomy, lush green meadows and waterfalls, your walking tour along the Via Francigena takes you into Tuscany; walk from Aulla at the foot of the Apennines, along the coast into northern Tuscany and the medieval village of San Miniato. 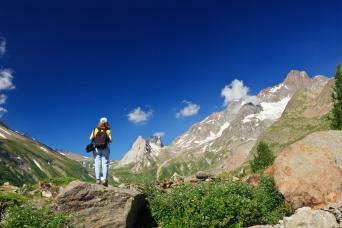 Walk the full Italian Via Francigena from Bourg St Pierre to Rome. 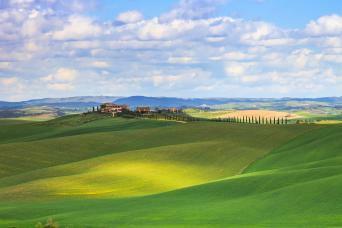 A wonderful pilgrimage and adventure through some of Italy's most beautiful landscapes to Rome. A superb week of walking that begins in the heart of the Alps, crosses the border from Switzerland into Italy and traverses the high mountain pass of Great St Bernard. En route you will be surrounded by a backdrop of magnificent mountain peaks and follow trails through pretty vineyards and orchards.